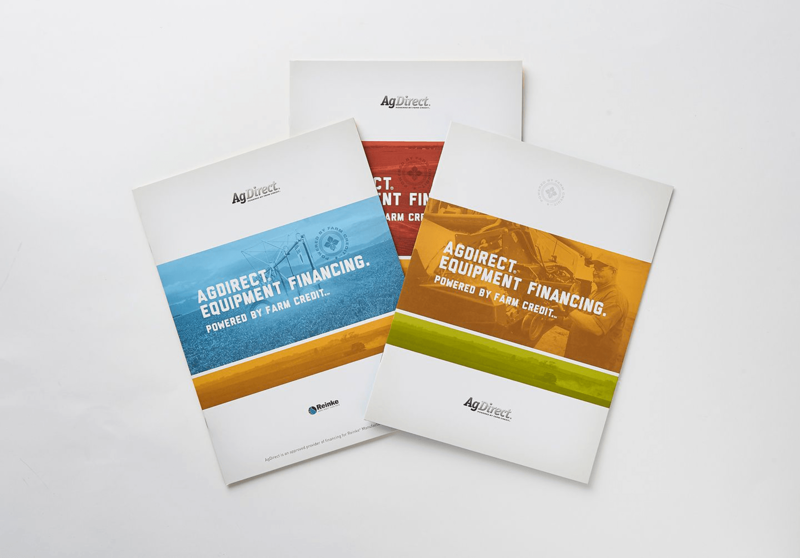 AgDirect is a leading agricultural equipment financing program available through ag equipment dealers in areas served by participating Farm Credit System associations. 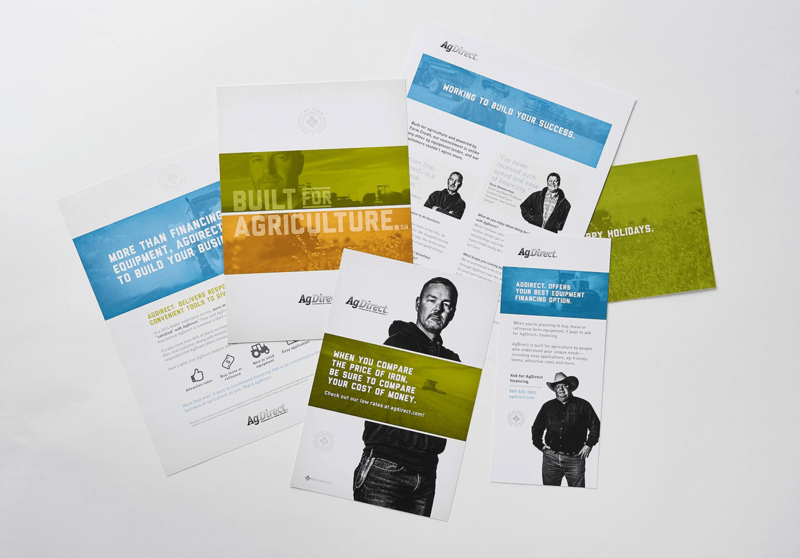 When AgDirect was looking to bring new energy to their existing black-and-white brand look, they turned to Meyocks to help revitalize the design in a marketplace where dominant equipment brands are strongly associated with specific colors. 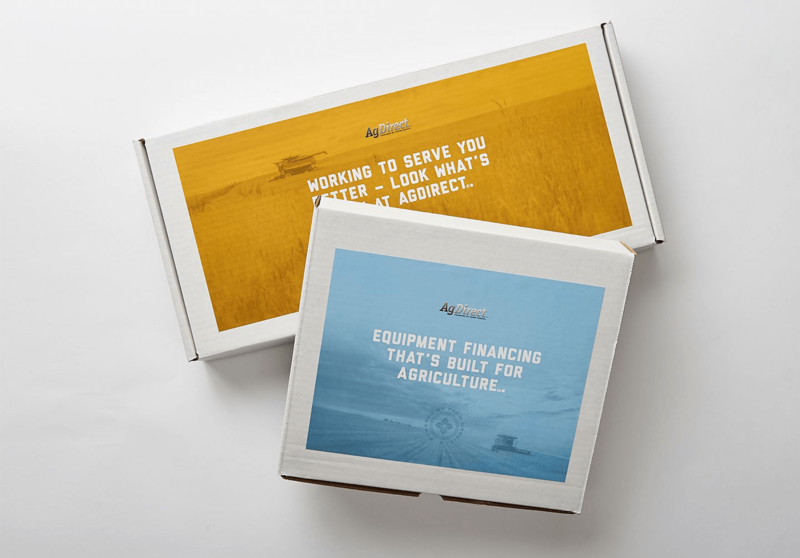 AgDirect finances all brands (and colors) of agricultural equipment. 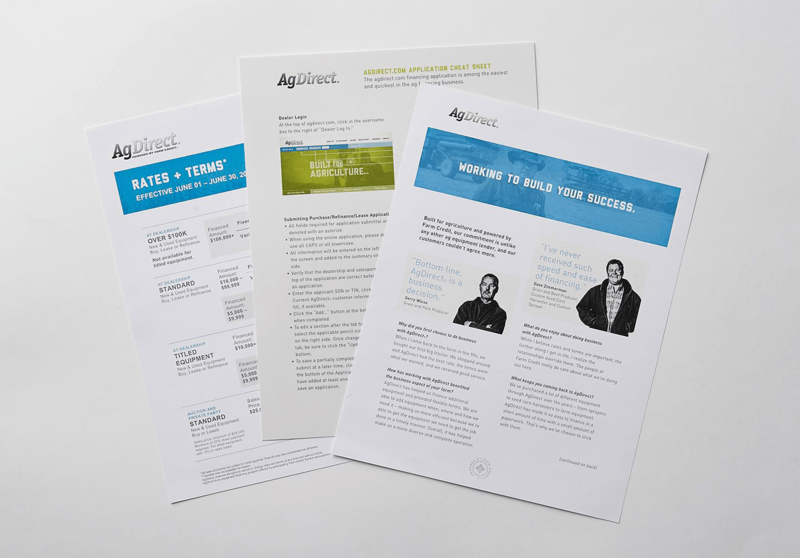 As AgDirect gained more interest among Farm Credit partner associations and planned to enter end-user-focused channels of auctions and private party sales, Meyocks recommended a more energetic look and tone to invigorate the brand and help compete for attention. Still, we wanted to maintain neutrality with equipment brands. 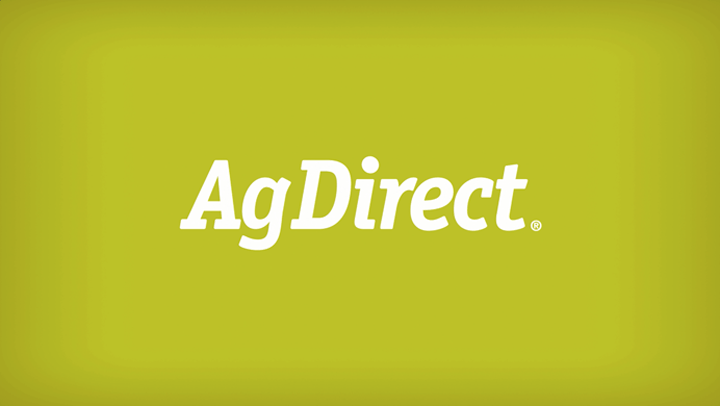 In addition, AgDirect wanted to more closely align itself with the Farm Credit brand and leverage the equity and credibility it provided, which was growing in importance as it expanded into new financing channels. For the new look, Meyocks livened the brand by applying vibrant color washes over black-and-white images. This maintained brand neutrality when featuring equipment, but made for a more attention-grabbing and contemporary-looking campaign. 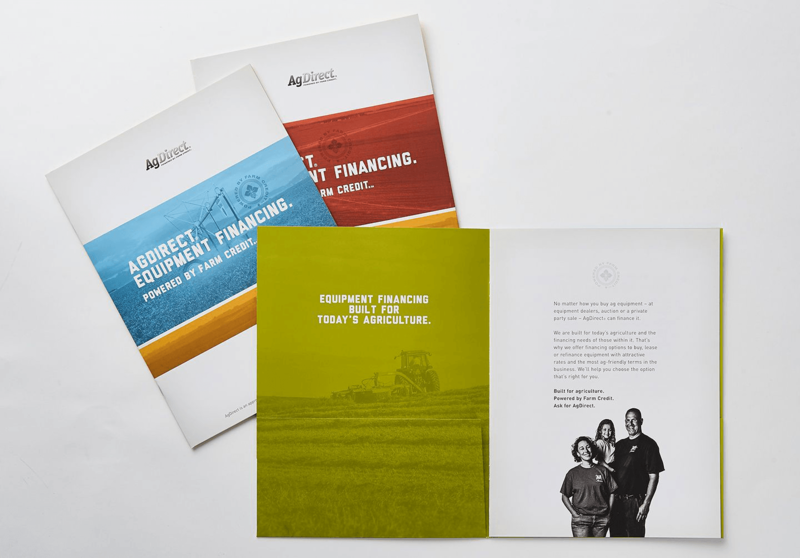 The campaign also features AgDirect customer images and testimonials to "humanize" the brand, which had the potential to seem impersonal with its automated decisioning systems and limited face-to-face servicing. 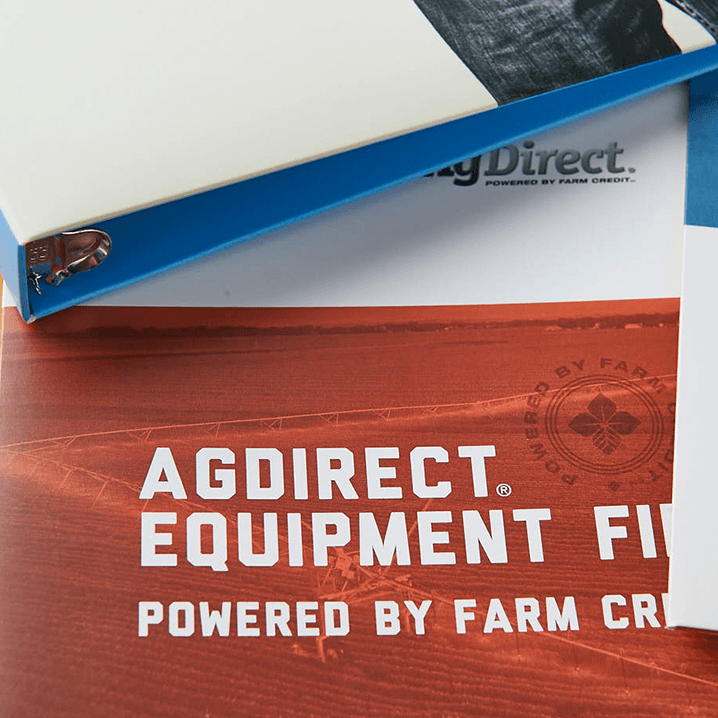 To connect AgDirect to the Farm Credit brand more strongly, Meyocks recommended the addition of a brand endorsement line and bug — "Powered by Farm Credit" — that appears on all marketing materials. 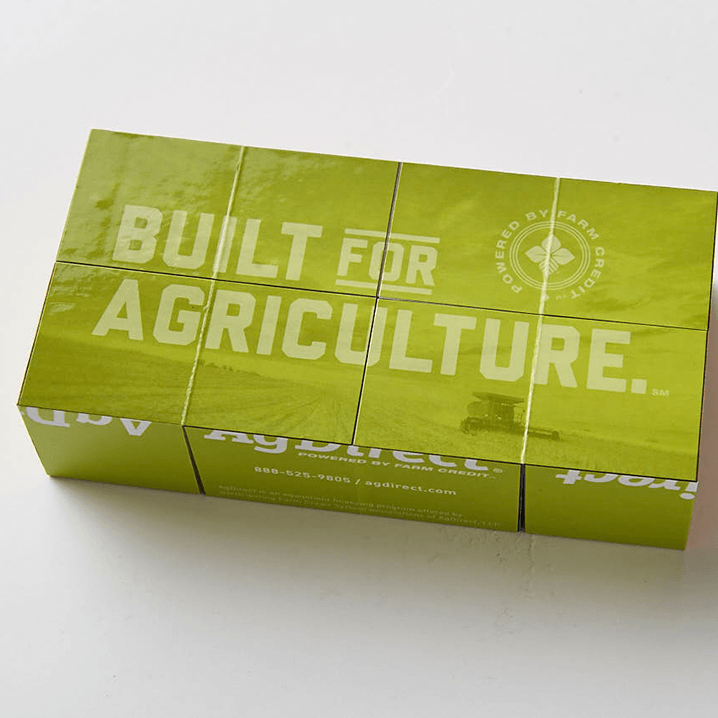 Meyocks also developed the campaign theme "Built for Agriculture" to convey the expertise of AgDirect's equipment financing programs specifically for the ag industry. Following the campaign refresh, including AgDirect.com, year-to-year page views increased 7.46% and time-on-site increased nearly 25%. Most importantly, unique pageviews increased over 43%, supporting the goal of increasing brand awareness. 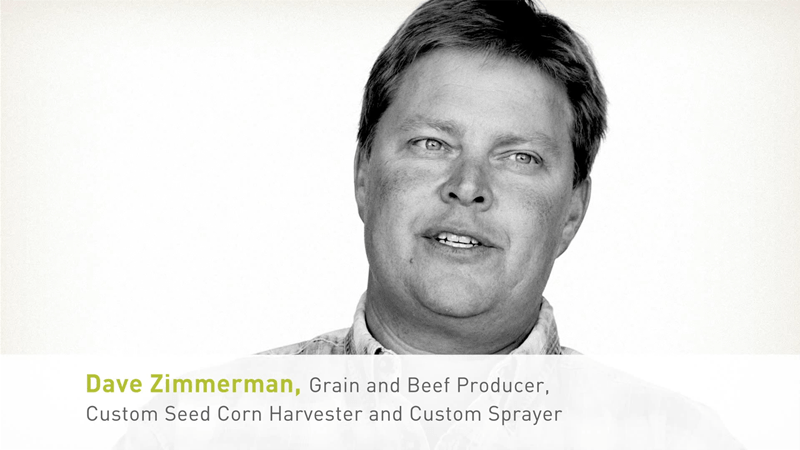 As part of our brand messaging, videos of customers who work with AgDirect are being created and posted on the AgDirect website. 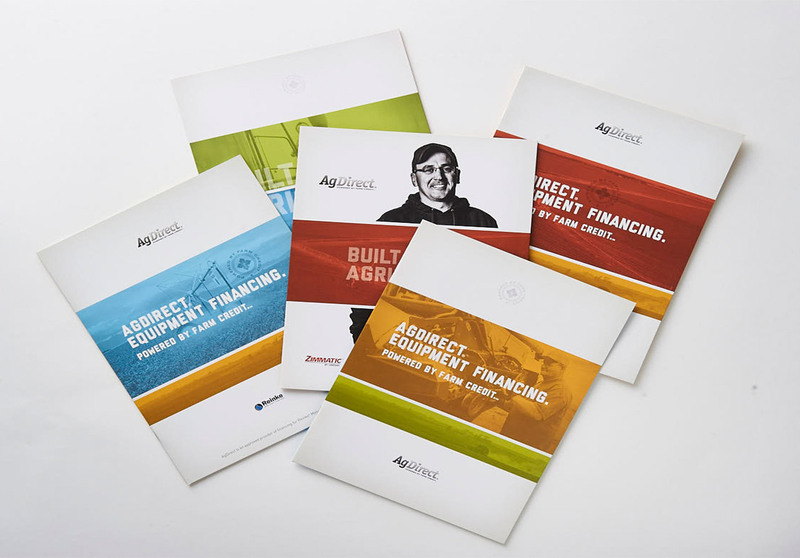 These messages verify and reinforce the speed, expertise and simplicity of AgDirect financing to customer prospects and equipment dealers.